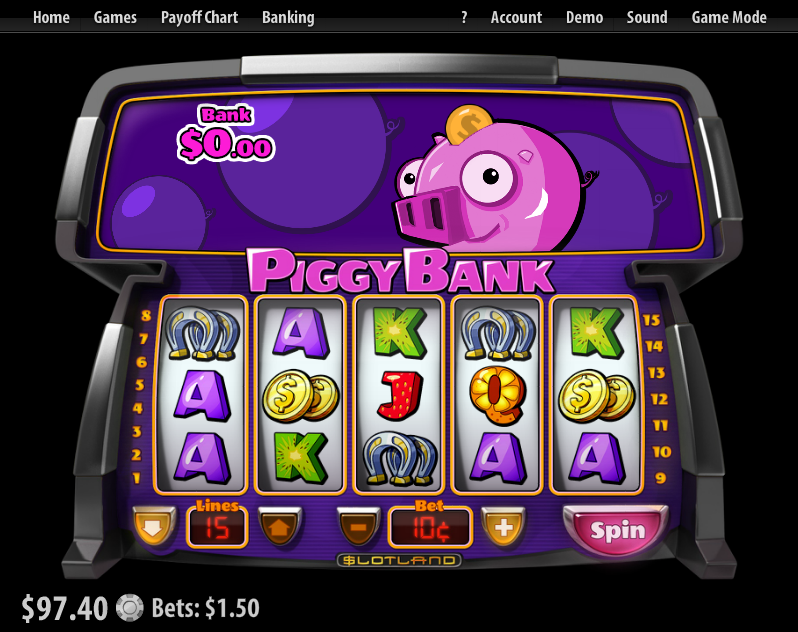 Overview: Piggy Bank is a classic slot with 5 reels and 15 paylines featuring the Pick a Pig bonus game and Bonus Reels Game. 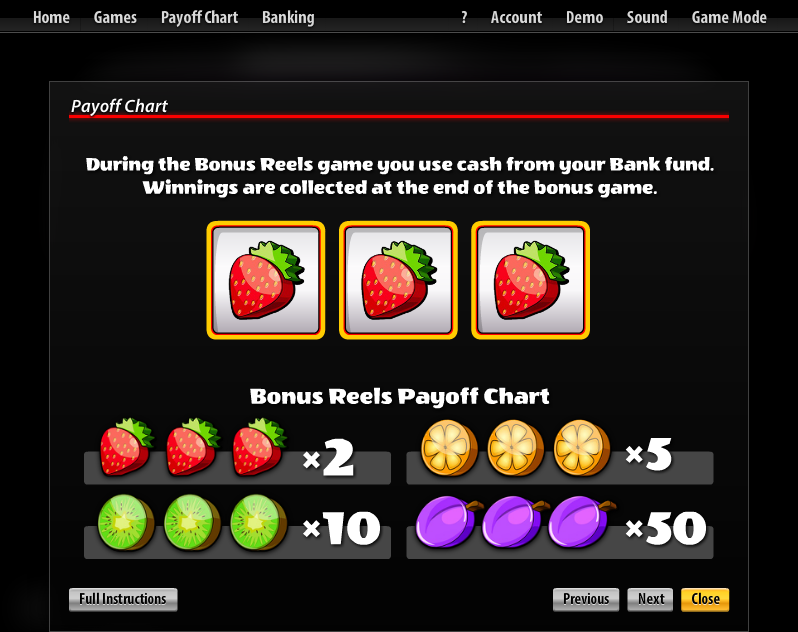 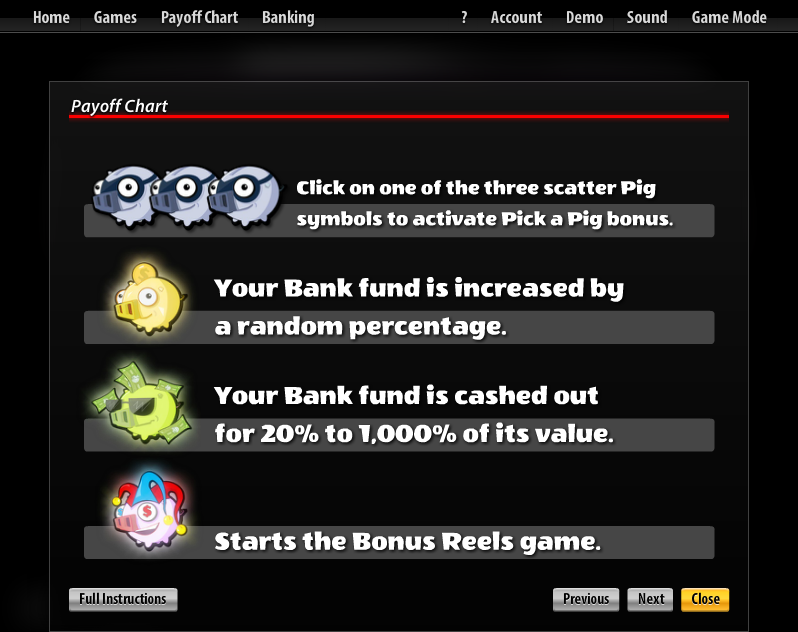 If you hit three scatter Pig symbols, click on one to add money to your Piggy Bank fund, cash out money from your Piggy Bank fund or to start the Bonus Reels game. 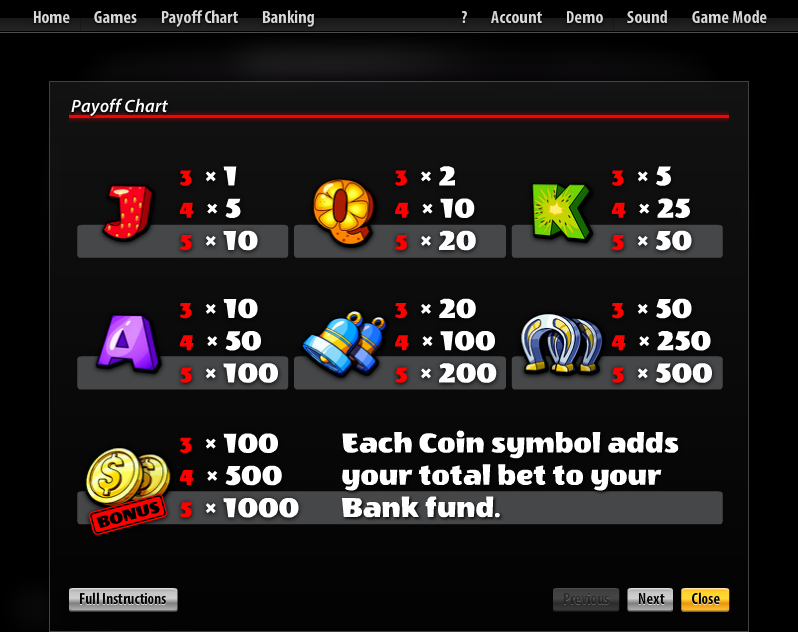 Similar Slots: If you like Piggy Bank, you might like these other slot machines from Slotland: Jewels of the Ancients, Lucky Stars, Pearls of Atlantis, Treasure Box.